The Warren Heritage Society, Inc.
is the Front Royal/Warren County community’s historical society, museum of Front Royal and Warren County, VA history, and archives. Established as a non-profit organization in 1971, the Warren Heritage Society has held the Shenandoah Valley’s Festival of Leaves since that year. The Society periodically collected and displayed artifacts of local history in the Courthouse Square Law Offices, c. 1836, from the late 1960s-1980, at which point the c. 1819 Ivy Lodge –formerly the town library – became home for the museum’s exhibits. The Ivy Lodge Museum exhibits include both permanent and annually rotating exhibits, which were completely renovated between 2003-2005. Ivy Lodge today also offers visitors the Ivy Lodge Gift Shop specializing in local history, traditions, and crafts. In 1981 the Society purchased the c. 1840 Belle Boyd Cottage, a site of significance from the Civil War in Warren County, and relocated it to the grounds of the Warren Heritage Society. 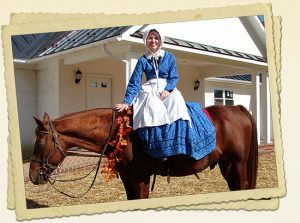 Today the Belle Boyd Cottage is decorated to the period of the War Between the States, and the life of Belle Boyd, Confederate Spy, is retold by costumed interpreters. In front of the Cottage are award-winning gardens maintained by the Master Gardeners of the Northern Shenandoah Valley, and behind the cottage are the Laura Virginia Hale Archives of local history, an excellent collection maintained by staff and volunteers. In 2000 the Warren Heritage Society purchased the oldest house still standing on the oldest street in town, Chester Street’s Balthis House. Built in 1788 – the year the Town of Front Royal was chartered – the Balthis House is decorated with pieces from the 18th century, and a costumed interpreter leads visitors through the house which tells the story of the formation of the County of Warren and Town of Front Royal. 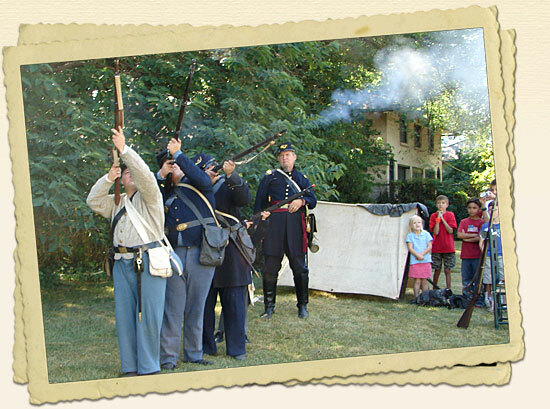 Programming at the Warren Heritage Society includes lectures on topics related to museum exhibits, history camps for students of all ages during the summer and educational programs throughout the regular school year, exhibit openings, Christmas at our Historic Homes, the annual Festival of Leaves (2nd Saturday in October), living history demonstrations, Civil War and Colonial era re-enactor camps, and much, much more. Be sure to visit us on FaceBook for updates.